A secure web gateway paired with cloud service technology offers users a completely new form of security, which reduce the cost and disadvantages of traditional methods. CyRadar Internet Shield performs as a cloud service, which provides a wide variety of advantages to business. Fast deployment, easy management are some of the most advanced and convenient features of our cloud technology. 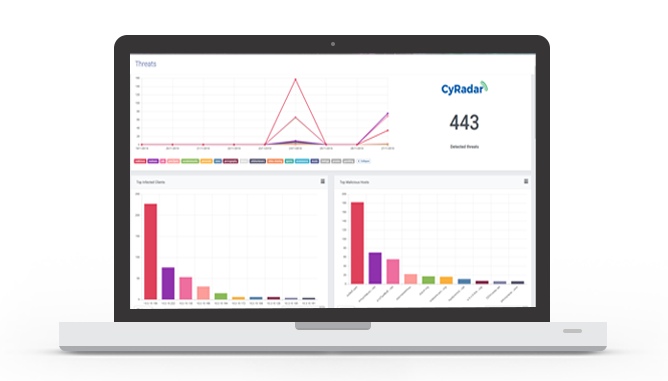 Through many security layers of CyRadar, your users are protected from a large amount of advanced malwares, ransomwares, and phishing every day. 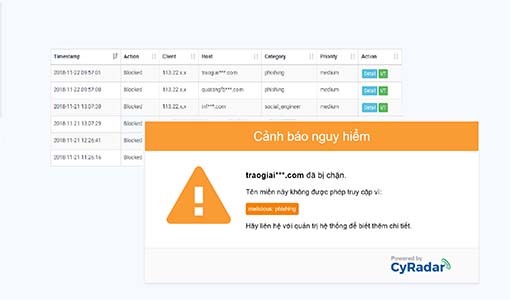 In addition, CyRadar Internet Shield offers a strong policy and reporting engine, providing an efficient way to control and monitor web usage. Protect all devices inside your network regardless of platforms. 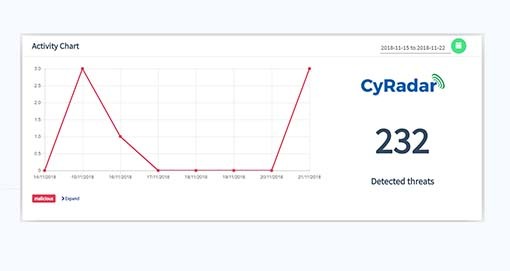 Just by pointing your web traffic to CyRadar cloud system, your users are offered the powerful security and policy enforcement by CyRadar Intelligent Platform. Your users can now go direct-to-web, with the best safety condition and less latency. We provide administrators all the necessary utilities to monitor, collect and sumarize web activity. Simultaneously, our policy engine help them to control the network effectively by applying customized web usage rules for users' access. Copyright © 2018 CyRadar. All Rights Reserved.